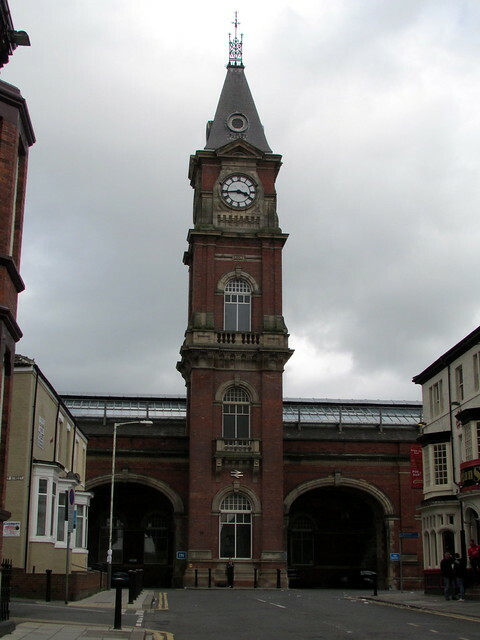 Darlington railway station is on the East Coast Main Line in the United Kingdom, serving the town of Darlington, County Durham. 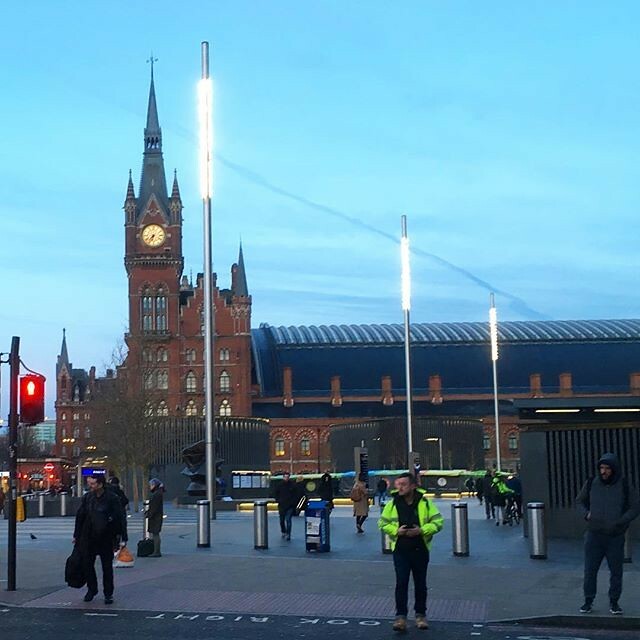 It is 232 miles 50 chains (374.37 km) north of London King's Cross and on the main line it is situated between to Northallerton the south and Durham to the north. Its three-letter station code is DAR. 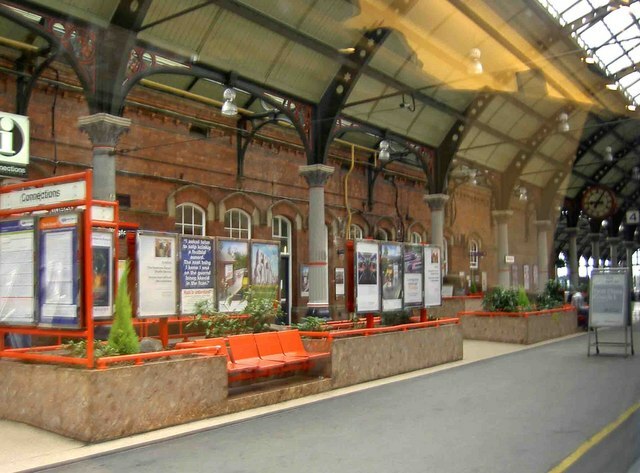 The station is well served, since it is an important stop for main line services, with trains being operated by London North Eastern Railway, CrossCountry and TransPennine Express, and it is the interchange for Northern services to Bishop Auckland, and Saltburn. 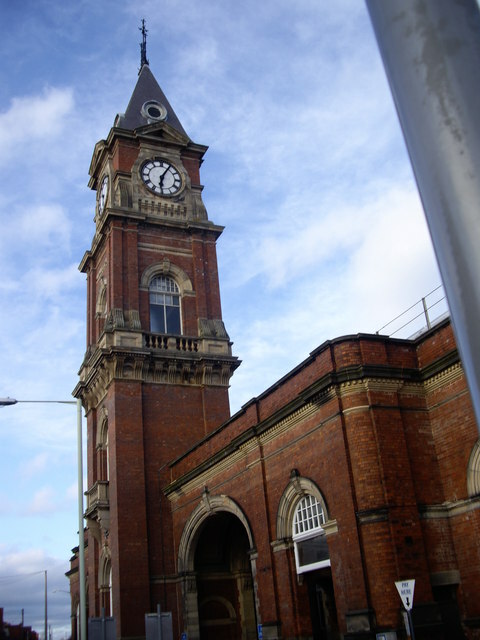 Darlington is the location of the first commercial steam railway: the Stockton and Darlington Railway. 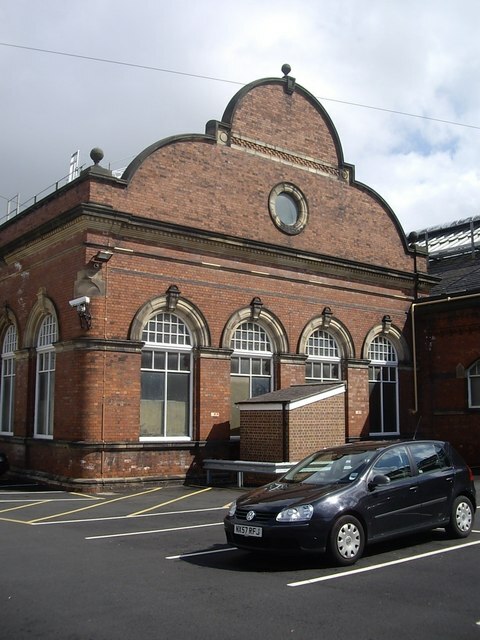 The station building is a Grade II* listed Victorian structure and winner of the "Large Station of the Year" award in 2005. 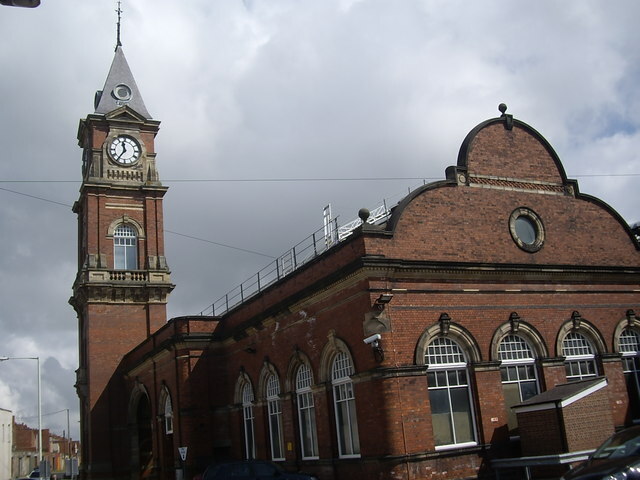 The first railway to pass through the area now occupied by the station was built by the Stockton and Darlington Railway, who opened their mineral branch from Albert Hill Junction on their main line to Croft-on-Tees on 27 October 1829. 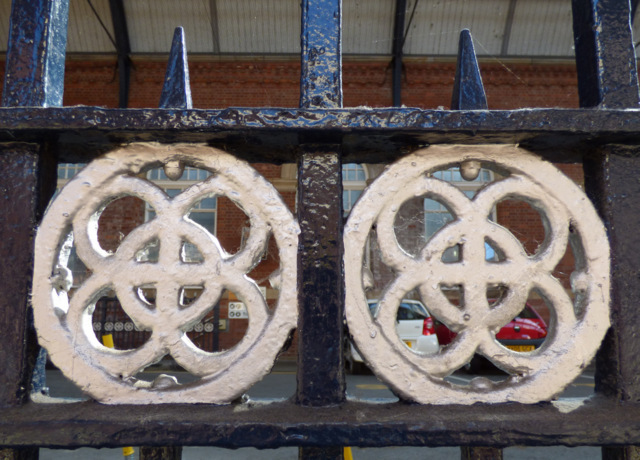 This branch line was subsequently purchased by the Great North of England Railway a decade later to incorporate into their new main line from York which reached the town on 30 March 1841. 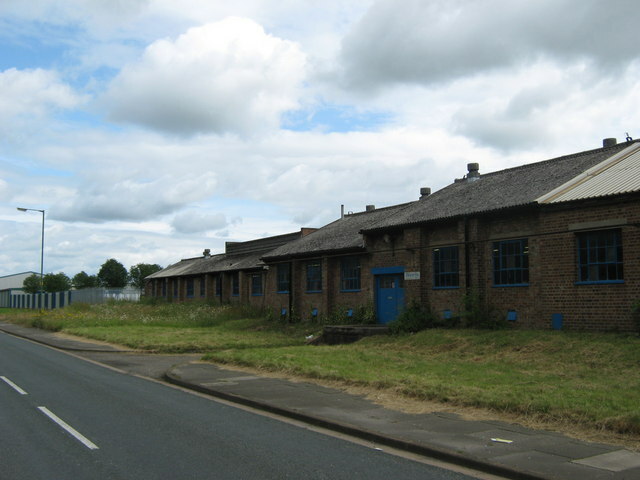 A separate company, the Newcastle & Darlington Junction Railway continued the new main line northwards towards Ferryhill and Newcastle, opening its route three years later on 19 June 1844. 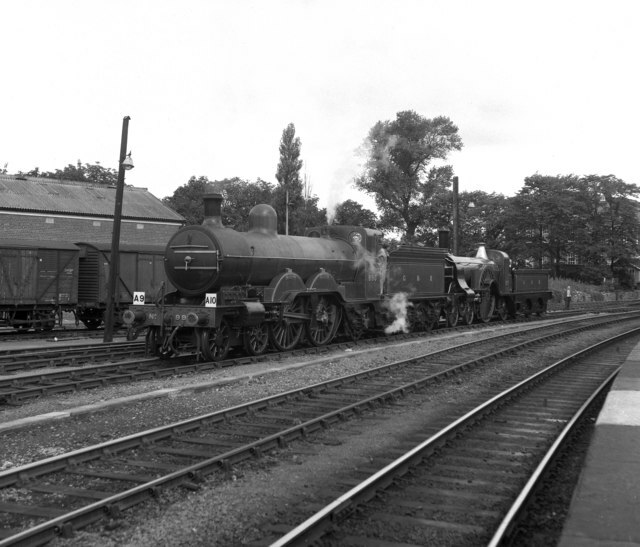 This crossed the S&D at Parkgate Junction by means of a flat crossing which would in future years become something of an operational headache for the North Eastern Railway and LNER. 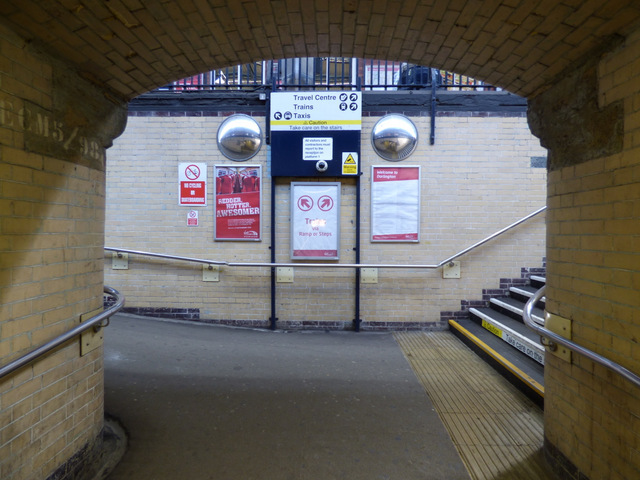 The original Bank Top station where the two routes met was a modest affair, which was rebuilt in 1860 to accommodate the expanding levels of traffic on the main line. 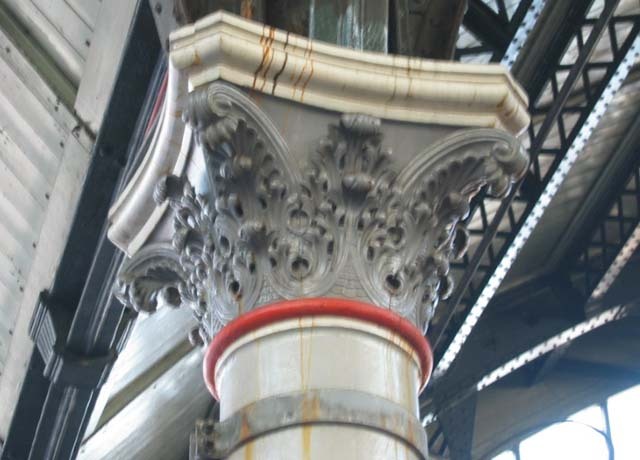 By the mid-1880s even this replacement structure was deemed inadequate and so the NER embarked on a major upgrade to facilities in the area. 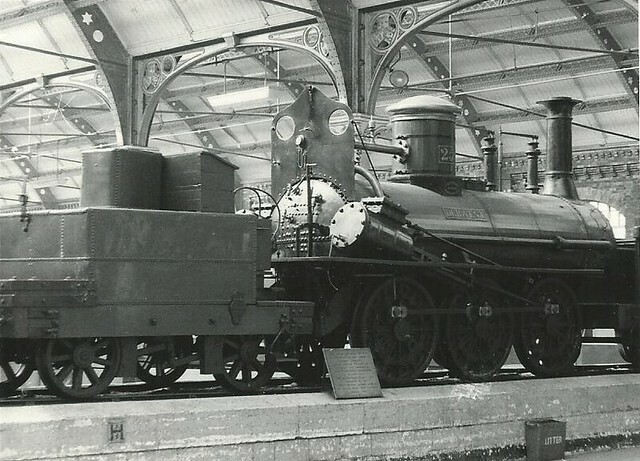 This included an ornate new station with an impressive three-span overall roof on the Bank Top site, new sidings and goods lines alongside it and a new connecting line from the south end of the station (Polam Junction) to meet the original S&D line towards Middlesbrough at Oak Tree Junction near . 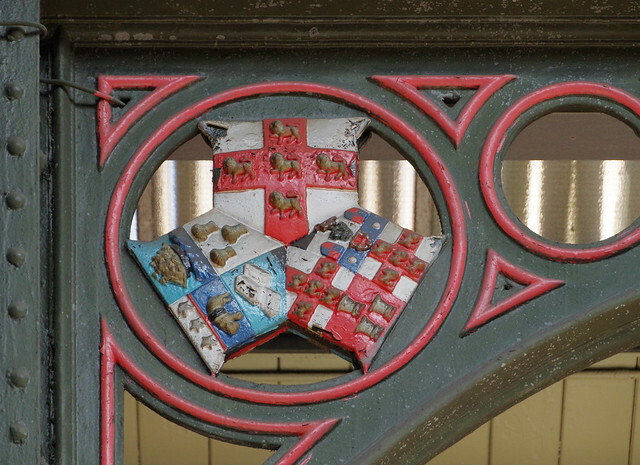 These improvements were completed on 1 July 1887, when the old route west of Oak Tree closed to passengers (although it remained in use for freight until 1967). 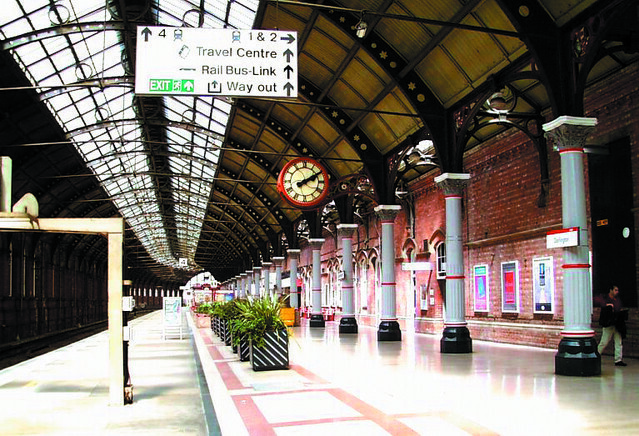 The new station, with its broad island platform was designed by T.E. 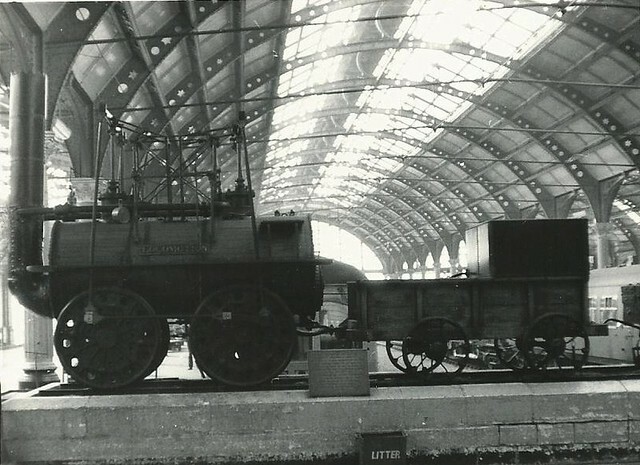 Harrison chief engineer, and William Bell, the architect of the North Eastern Railway. 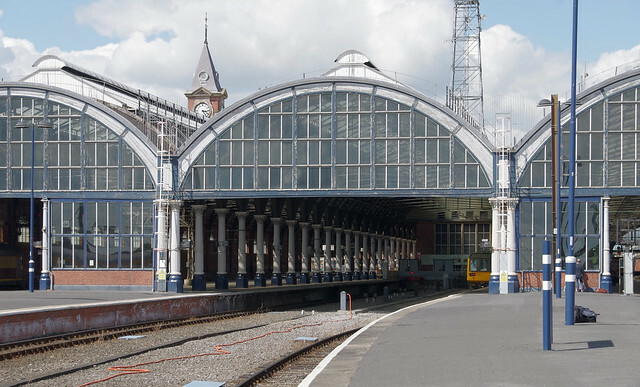 and cost £81,000 (equivalent to £8,850,000 in 2018) to construct and soon became a busy interchange on the main East Coast route, thanks to its rail links to Richmond (opened in 1846), and Barnard Castle and Penrith (1862/5) and the Tees Valley Line to (1842) and (1861). 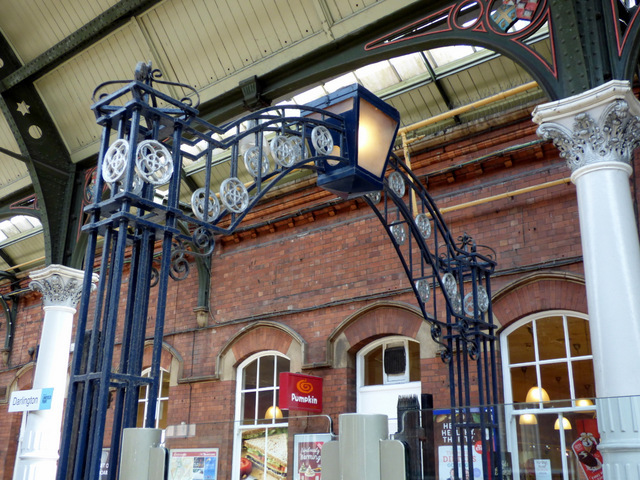 Darlington is well served by trains on the East Coast Main Line, with regular trains southbound to London King's Cross via and northbound to Newcastle and Edinburgh Waverley operated by London North Eastern Railway. 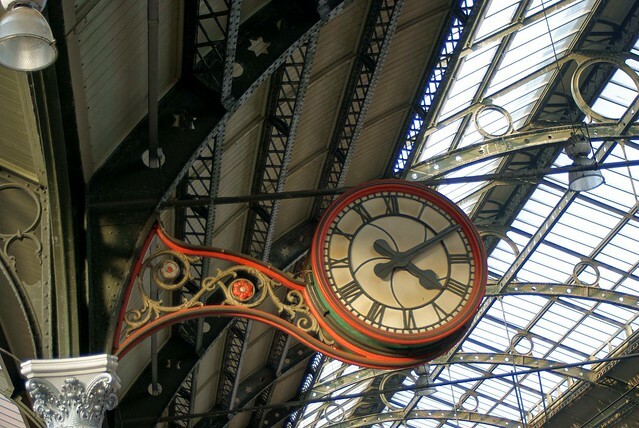 Two trains per hour run south to London and north to Newcastle for much of the day with hourly services to Edinburgh Waverley. 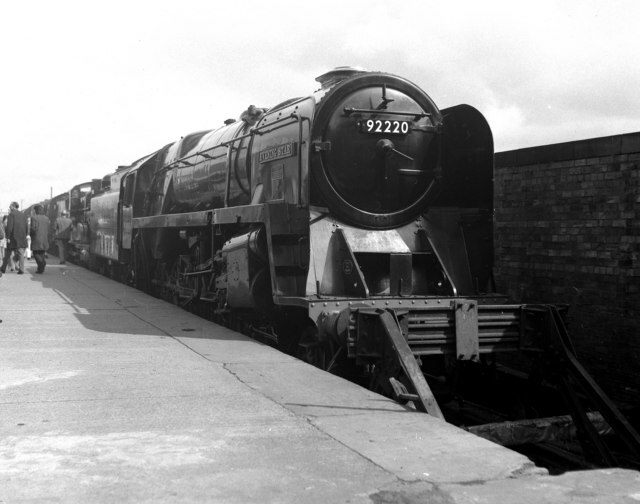 There are also several daily services to and also daily direct services to Stirling (two) and (one). 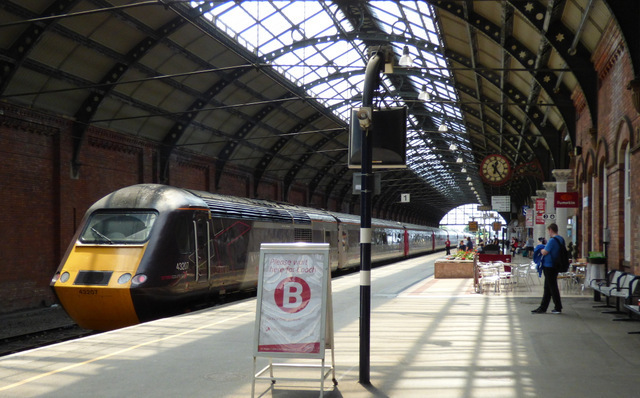 Due to the introduction of the new ECML timetable on 22 May 2011, LNER only now provide one daily direct service each way between London King's Cross and Glasgow Central which calls at Darlington. 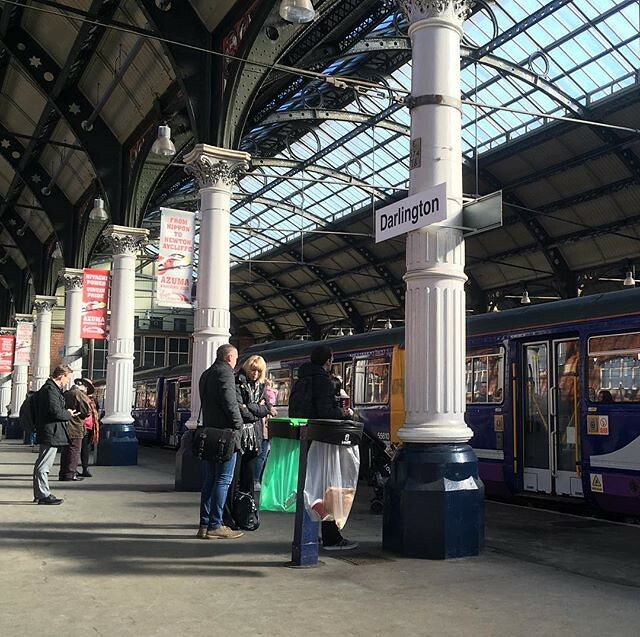 The northbound service to Glasgow departs Darlington at 18:09 and the southbound service from Glasgow arrives into Darlington at 10:00. 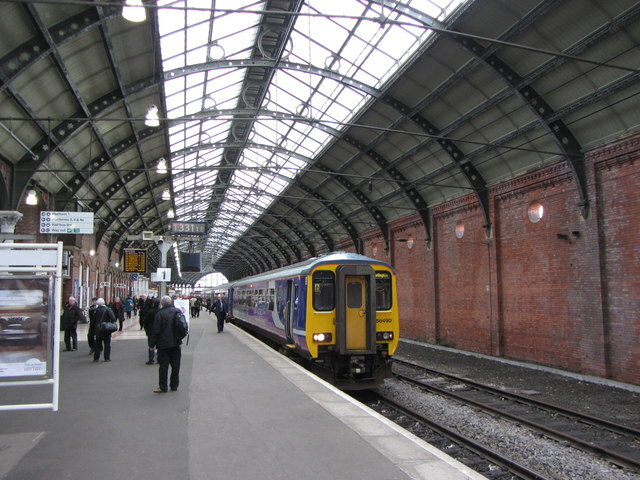 CrossCountry services between Edinburgh, Newcastle and Birmingham New Street and beyond to ( and and to Bristol Temple Meads, , and ) also call here twice each hour, along with TransPennine Express trains between Newcastle and Liverpool Lime Street or via York, and Manchester Victoria. 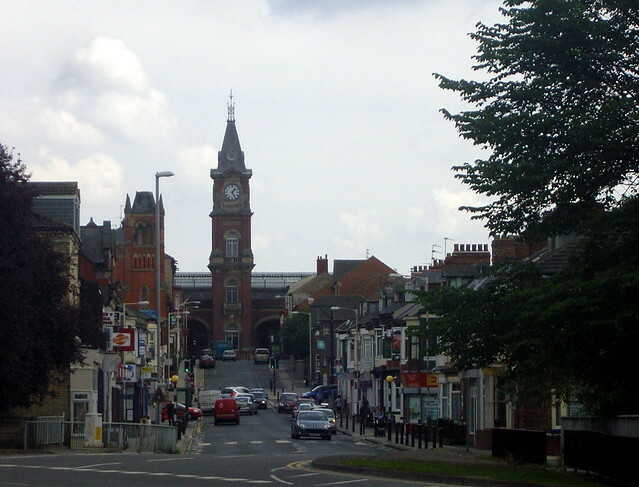 The Liverpool service was introduced at the May 2014 timetable change in place of the former route to/from Manchester Airport, but since the May 2018 timetable change trains now run to both destinations from here. 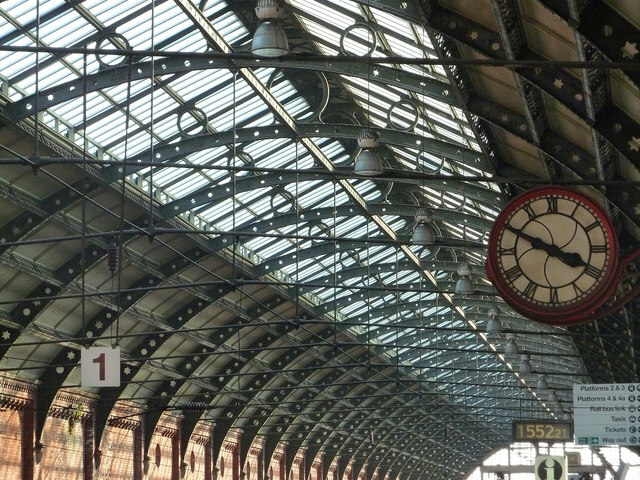 Certain CrossCountry trains extend beyond Edinburgh to Glasgow Central, Dundee or Aberdeen. Northern run their Tees Valley line trains twice hourly to , Redcar and Saltburn (hourly on Sundays), whilst the branch has a service every hour (including Sundays). 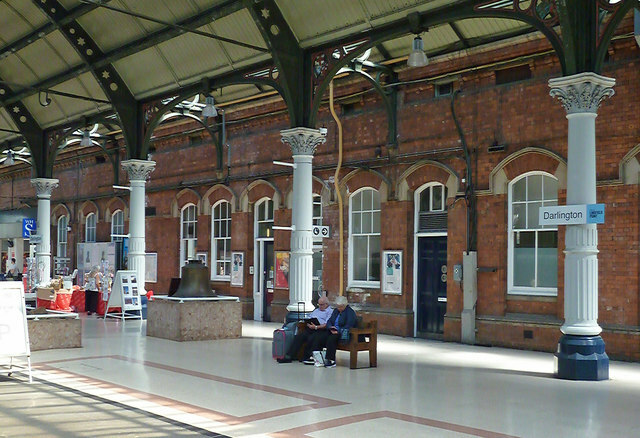 The company also operates two Sundays-only direct trains to/from Stockton and . 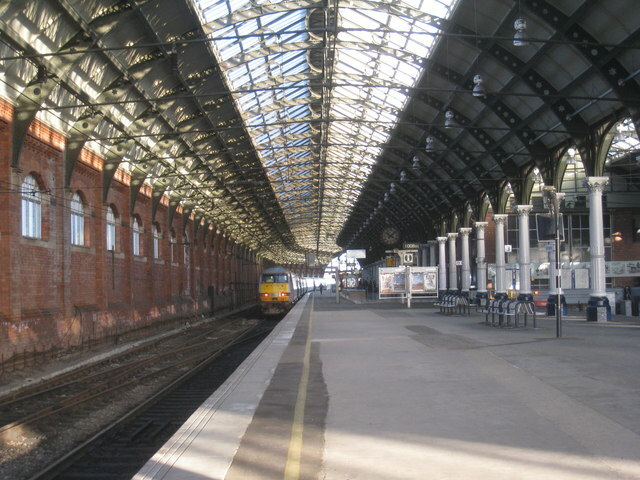 As part of the Tees Valley Metro, two new platforms were to be built on the eastern edge of the main station. 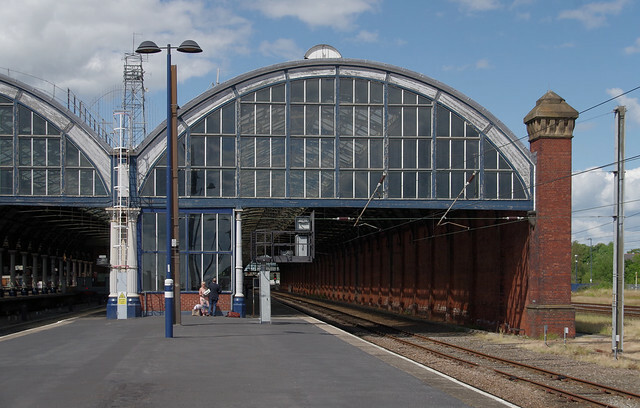 There were to be a total of four trains per hour, to and Saltburn via the Tees Valley Line, and trains would not have to cross the East Coast Main Line when the new platforms would have been built. 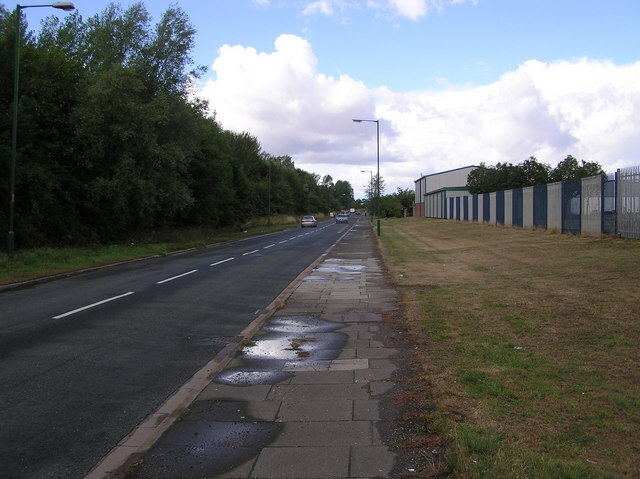 The Tees Valley Metro project was, however, cancelled. Text from Wikipedia, available under the Creative Commons Attribution-ShareAlike License (accessed: 06/03/2019). 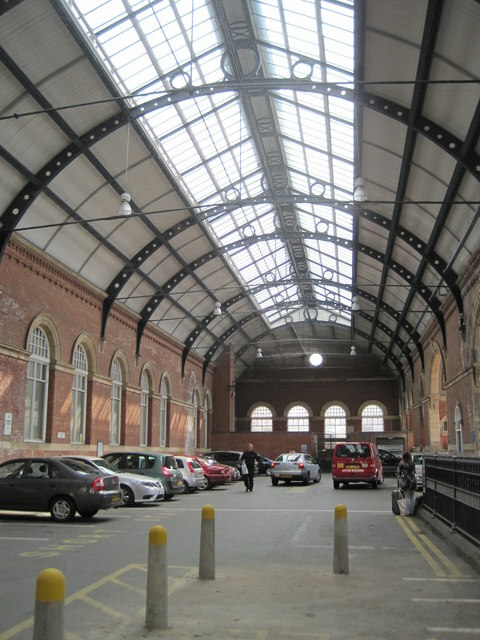 Visit the page: Darlington railway station for references and further details. You can contribute to this article on Wikipedia.